Shallow bowl with stunning light blue trim and bronzed edges on our Aurora Collection makes them a perfect addition to any table setting. Classic colours in a modern design and finish they are beautiful in their simplicity. 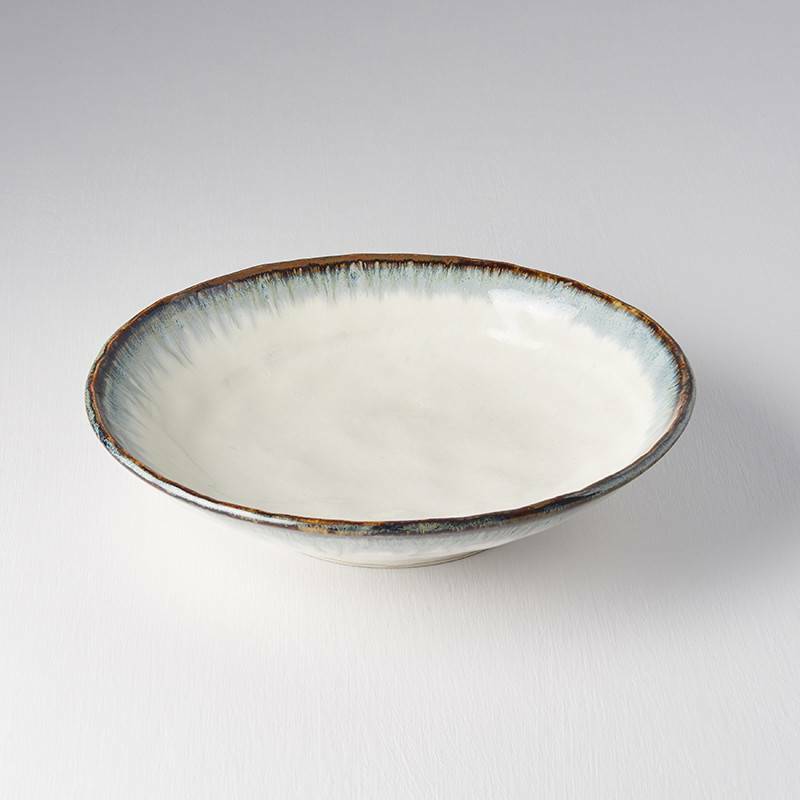 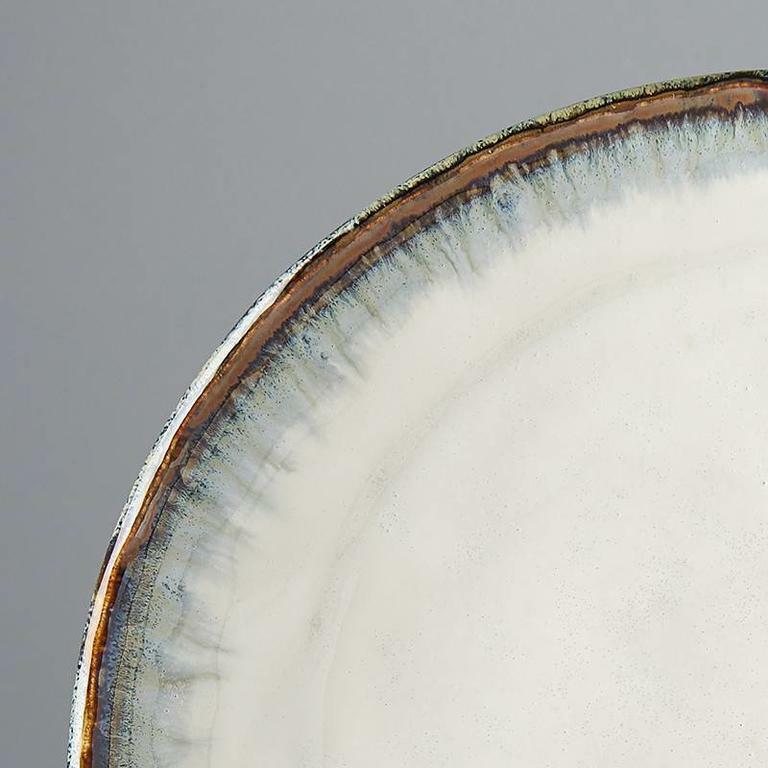 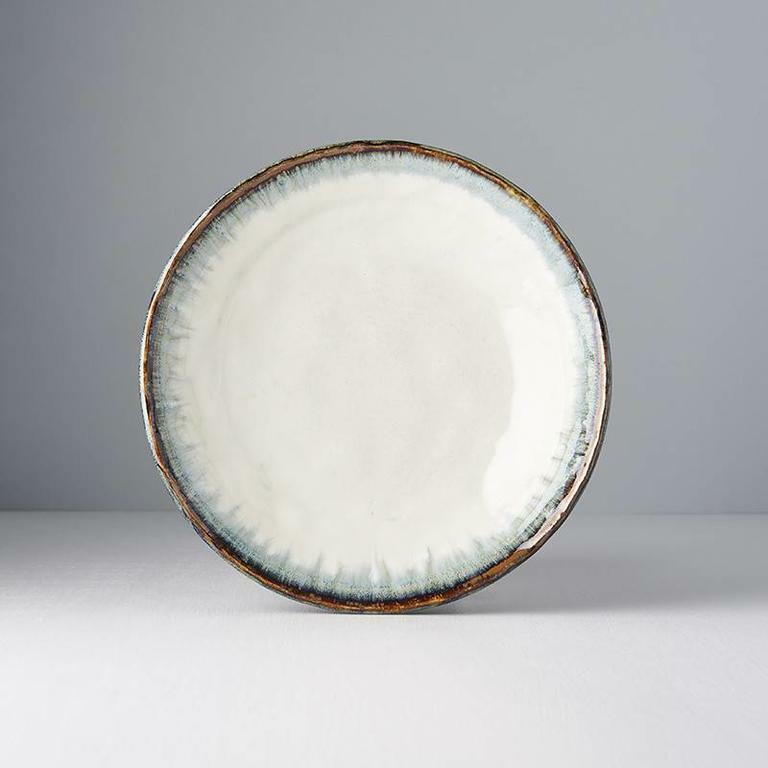 Large shallow serving bowl with a gloss glaze on the inside and a matt finish on the outside, 21cm wide. 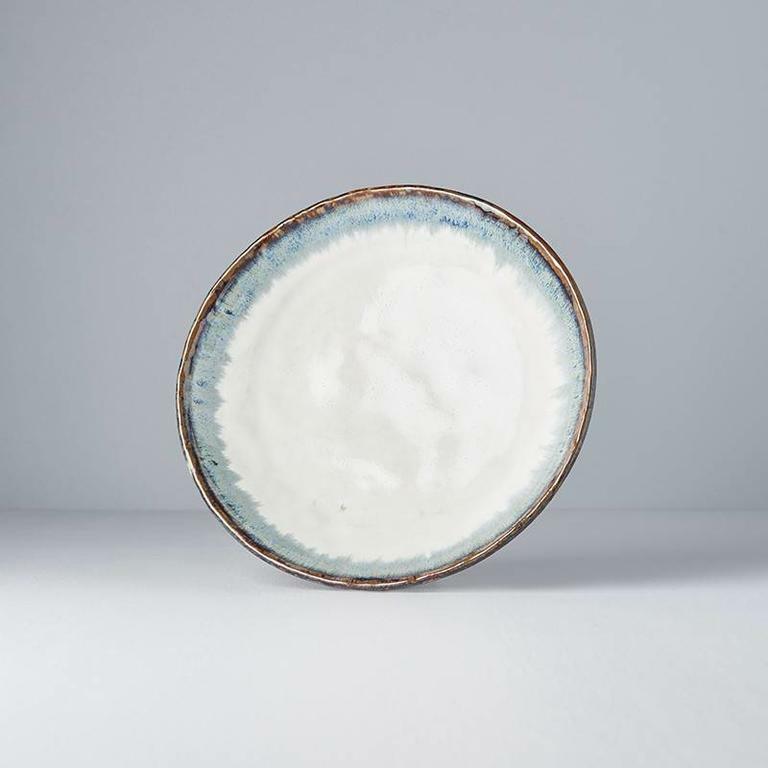 A perfect marriage of colours with our Earth and Sky range, this open serving bowl will highlight any dish of food, 28cm diameter. 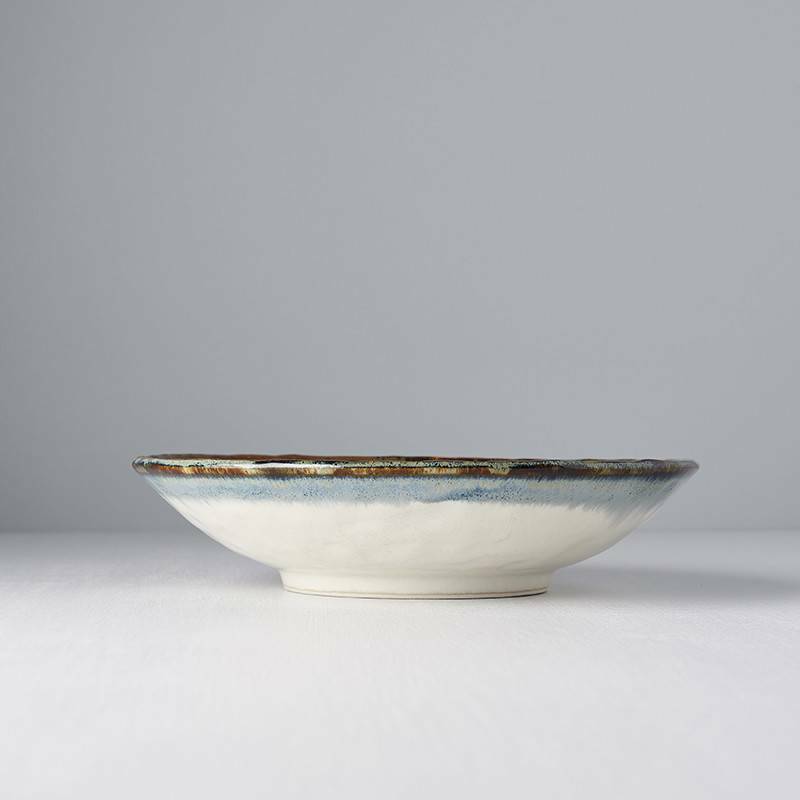 21cm, wide serving bowl in a lovely off-white colour, a kitchen classic designed to improve the look of any dish.